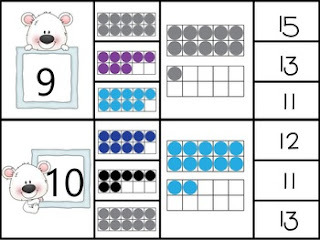 Practice counting on ten frames. Just print, laminate, and cut apart cards. Add to your math center/station along with some clothes pins. If you would like more winter themed activities to go along with this one check out my Winter Math & Literacy Bundle.